It’s quite an awkward moment when you realize that a camera that is pointed at you is not going to take a photograph but is actually already filming you. This “it’s a video”-moment is quite strange. The videos of your series “THE HAPPY PEOPLE” seem to be at home at this place between photography and video? What interests you in this confusing place? For me the situation when one is preparing for the moment of representation is crucial. This is when everybody involved in a photo shooting becomes more “sensitive”. After all, this is the moment that in the end will be presented to the outside world. The photographer and the subjects both try hard to get the perfect or expected image. To me, this process flows dynamically and is open to influences of the surroundings. This opens up a field of possibilities which allows me to play with questions of identity construction. This confusing place between photo and video also helps to understand what the medium of portraiture means for our behavior when we are representing ourselves. What do you think goes through a person’s mind when they realize that they are posing for a video instead of a photo? What is the main difference? Do we have different norms for presenting ourselves in these two media? I think the photographer‘s countdown helps you to realize that the right photo moment is coming up: hold your breath, smile and stay still. So without countdown, you feel awkward or feel “unprepared”, even more so when you realize that you are posing for a video instead of a photo. I think, without countdown, if you are being photographed, you expect that only moments of less than a second are recorded, especially in a portrait photo shooting situation. So, yes, I think we do have different norms for presenting ourselves in these two media: video offers you a span of time whereas photography only offers a very short moment. However, in my work the process of constructing and finding that perfect photo moment is being recorded – as video – not the perfect photo. 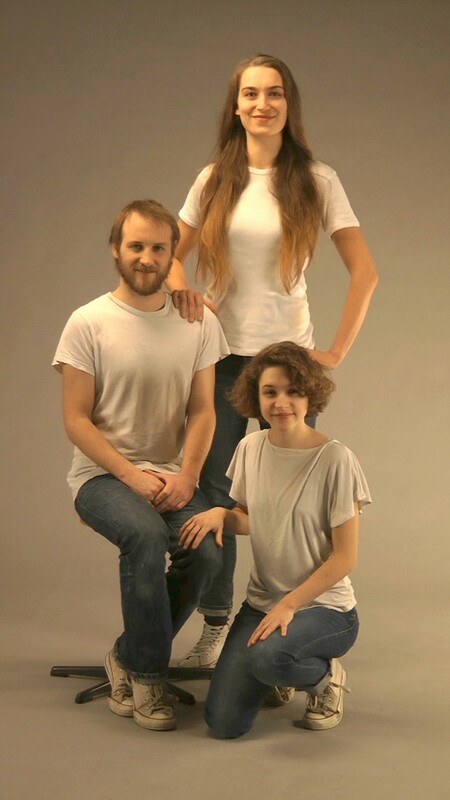 In the series “THE HAPPY PEOPLE” you work with three photo stereotypes: the family portrait (“THE HAPPY FAMILY”), the tourist photo (“THE HAPPY TOURIST”) and the employee photo (“THE HAPPY EMPLOYEE”). What are the main differences for you between these categories and conventions? What functions do these types of pictures serve in society? Why did you pick these three categories? When I was a child, I was somehow introduced to a life pattern which had the goal of a meaningful life. This pattern was “approved” by the older people. Basically, it meant to go to school, to get a job, and then to get married. These steps have stayed in my mind, not only to be questioned, but also to be demonstrated until I’m older and have more experience with this formula. In my series, these conventions of having a happy family, being the best employee, and having the best vacation seem to be the “package”. People often express that one should have these three things to live life “the right way”. These three categories are strongly connected and depend on each other: I mean, in a more general sense, everyone has a family, everyone needs money, and everyone needs a break from time to time to get back to “reality” in fully recharged modus. I personally believe that basically everyone wants to play these roles happily. The main difference between these three picture conventions lies not only in the strategy and the impulses that I use to build the body of the works, but also in the expectations of the roles which are carried by an individual in those three categories. Every role comes with its particular expectation, and this expectation has to be fulfilled to get closer to the image that society declares as ideal. I believe that these pictures of happiness have been used as a parameter of value or as a norm for one to be able to position oneself in the social structure. I think, these conventions influence us in our differing roles within society. In these videos, you give the person behind the camera a voice. This person seems to be in a more privileged position than the person in the picture. Is the relation between the person behind the camera and the person in the picture a power relation? Who is more powerful? I think if you have the authority to define someone by taking a picture, you are definitely at the top of this hierarchy system. A photographer can – for example – define the happiest moment of a mother. A photographer could also be seen as the winner of a war who has the privilege to continue to write history. So, yes, there is an intense power relation. Photography often has a strange and almost magical power. Is to take a picture to take possession of someone or something? Is the act of photographing or filming an act of taking power over someone or something? Do you own a part of a person if you take their picture? How do you see this? I believe that taking a picture is reproducing an ideal signification. This signification is based on the value of the elements that are being photographed. In the process of taking a picture, one will always be active and the other one will always be passive, depending on who is behind the camera. So this kind of dialogue will be led and also be ended depending on the photographers’ “needs”, and surely this means that the person behind the camera has this control. So I think, as soon as one has decided to push the button, one has taken a part of something or someone that is photographed or filmed. For me, this means that the end product adds another version of representation to the photographed object. I believe that the photographer or the filmmaker owns his or her version of the photographed objects. In English you say “to take a picture”, in German you say “to make a picture”? These are two totally different ways of looking at the process of photography. Which one do you prefer? Firstly, it is always hard for me to feel represented by words that are not my mother tongue, which is Indonesian. However, using a foreign language makes me more aware of how words are constructed, and how they are used to deliver the meaning. Honestly, I’m still trying to position myself in relation to these two words – “take” and “make” – since I do also agree that these words have very different meanings, which reveal very different attitudes. I always thought that this attitude also has a lot to do with the photographer‘s ego or the position as a photographer. For me, if I had to choose, I would probably prefer to use “to borrow a picture”. In the series “THE HAPPY PEOPLE” you explore conventions of photo posing. In “THE HAPPY FAMILY” you play with gender roles and cultural stereotypes. One can’t help but laugh at the ridiculous tension between the image and the commands of the off-screen voice of the photographer. How far is this dialogue from reality? How did you develop the text for this? I always enjoy discussing my work’s development with friends. Sharing this process with people who are close to me helps me to get back on track when I get lost in my own “film”. When making work, it is essential for me to let others access it, to let them join the “dialogue”. In this series, all stereotypes and cliches I use already exist in society and are propagated through mass media, such as TV, social media platforms, or self-help books etc. Nowadays the exchange of information online is becoming faster and faster, and it tends to be delivered in a capitalistic fashion. This is why I believe that these stereotypes or cliches have many more interesting layers of meaning. For the off-screen voices in your series you chose people with US-American accents. This seems to be a very conscious choice. Would you say that this is a comment on US culture, or rather on the consumerism that we identify to be coming from the US? This question reminds me of an interesting moment during the production of this series. Since the work was supposed to be in English, I was trying to find a person who could act and speak English with a “good” pronunciation. I met many people from different backgrounds and talked with them in English. At one point I realized how strongly American culture influences non-native English-speakers who are using this language. Even though one could not speak the lines in proper US-American accents, one could imagine what it was supposed to sound like. Honestly, it just happened like that, that I picked American accents. But I am not very surprised, since I attempted to deal with a bigger question: how do the capitalistic “accents” influence the others in constructing a value or making an ideal representation? Another central questions seems to be: how to show happiness in a picture? Smiles are not necessarily happiness. Often a smile is even supposed to signal superiority. For example, opponents of football player Ronaldinho reported, that what was even more intimidating than his superior football skills, was the fact that he was constantly smiling at them. In German we say that “smiling is the best way to show your enemy your teeth”. What does smiling mean in a picture? I don’t think we can ever truely show happiness in a picture. Just as in language, in a picture we can only use symbols, words or metaphors – which are already identified with happiness – to show that we feel happy. From what I understand so far, smiling in a picture follows a norm that comes close to the value of an ideal representation, which is somehow commonly expected in society. I do agree that smiles do not necessarily represent happiness or are not even proof of a positive attitude. However, smiling seems to be essential to get closer to the ideal image which is somehow expected of us. The voice in THE HAPPY FAMILY shouts: “Be happier! Put your happy face on!” The whole process of taking a picture seems to drive towards a climax: the ideal picture. However, the ideal picture is also the end of your videos. Can this perfection not be reached? Or can it not be shown? Well, actually the ideal picture is not presented in the videos because I personally believe that there is no such thing as an ideal image, since the meaning of the elements that construct this idea of perfection are constantly changing. In capitalist societies, the consumers try to reach an image of a perfect self through processes of self-optimization. This optimization happens in real life on a visual level through exercise, diets, beauty products, fashion, plastic surgery etc. In the virtual online reality, photos of the optimized bodies are improved even further to a point when they present an optimized digital self that has never walked the earth. And this trend – of course – goes far beyond the superficial visual body level: you also have to be perfect on the inside, and in everything you send out. In this logic, you have to always be happy – or unhappy. This drives people to avoid conversations and to prefer text messages and emails, because what you write can be controlled and optimized before it is sent. I can’t help but think that your series “THE HAPPY PEOPLE” is criticizing or ridiculing this trend to become perfect selves? Yes, it surely does. I mean, “happiness” is now used to re-evaluate social norms, values, and roles. “Happiness” has been both produced and consumed banally through the media in “how to live better”-discourses. We can now easily learn how to tie a tie, how to bake a cake, or how to live “the right way” through different media, no matter where we live. It‘s quick, it‘s easy, and you can have everything explained to you in a step-by-step video tutorial. This trend of self-optimization – this attempt to relief the pressure to be a better person in a more simple, compact and “didactic” way – creates a “Gleichschaltung” to produce a standardized value of “happiness”. I think, this condition drives society to justify it’s products with their association to happiness. At the same time, it produces a strange understanding of a way to reach “perfection”. The voice in “THE HAPPY FAMILY” tries to tell the family to be happier and to be more beautiful. But these words seem too empty to communicate the message. The family does not know what the voice means by “happy” and “beautiful”. They don’t really know how to pose “better”. Have these words lost their meanings in our language? I would say that these words have changed their meanings many times. I believe that these words are not only very culturally coded, but also that their meanings have been constantly changing, depending on the context they are used in. It is significant who is using these words. What is the purpose of speaking? I mean, surely we learn how to behave or what to say from each other. We learn to use words which deliver certain meanings from our surrounding society. But since this society is highly complex, it produces constantly new needs and expectations, and language constantly needs to adapt to that. What role does humor play in your work? Why does it feature so strongly in your work along with absurdity? Is it dangerous to be funny as an artist? Rizki Resa Utama also known as OQ was born and grew up in Bandung, Indonesia and lives in Germany since 2008. In 2006, he completed his BA in Communication at Padjajaran University, Bandung. In 2013, he received his Diploma in Fine Art and finished his Meisterschüler at the University of Art, HBK Braunschweig, Germany in 2014. In 2006, he co-founded an artist’s initiative space, Buton Kultur 21, in Bandung, Indonesia. 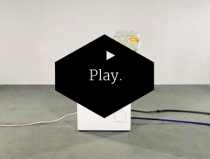 He has been using different media, mostly video installations, photography and performance. 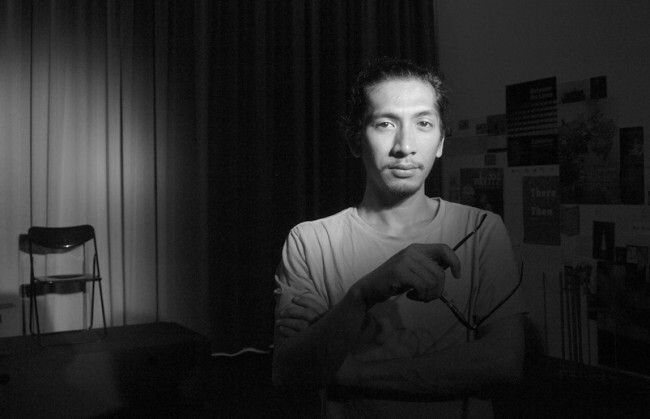 His works have been presented in international film/video festivals and group exhibitions such as Kreuzberg Pavillon Berlin (Germany), Kestnerschau, Kestnergesellschaft Hannover (Germany), Kasseler DokFest, Kassel (Germany), European Media Art Festival, Osnabrück (Germany), Padepokan Lemah Putih & Laboratorium Performance Art Plesungan (Indonesia), Images Festival, Toronto (Canada), iD-indonesian Contemporary Art in Kunstraum Kreuzberg, Berlin (Germany), Selasar Sunaryo Art Space, Bandung (Indonesia), Singapore Biennale 2008 (Singapore). He received an Honorary Mention Award at the European Media Art Festival (EMAF) 2011, Osnabrück (Germany).